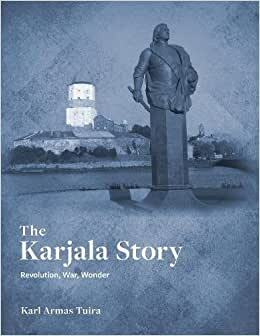 The story of Karjala/Karelia, the eastern part of Finland lost to Russia in WWII, from Prehistory to after World War II as seen through the eyes of the authors family. The Kalevala prehistory; 600 years of Swedish Russian Wars; a grandfathers imprisonment during the Finnish Civil War during the Bolshevik Revolution; life in the Karjala countryside; the sunshine years in the enchanting city of Viipuri–the Paris of the North; the Winter War of 1939-1940 with Russia–life on the front lines and fleeing from our Karjala home; the Continuation War of 1941 to 1944– terror and tedium on the front lines once more; the Lapland War; and leaving Karjala forever. Historical facts interwoven with family lore, family memoirs, original manuscripts, photos and excerpts from classical as well as less known Finnish books.